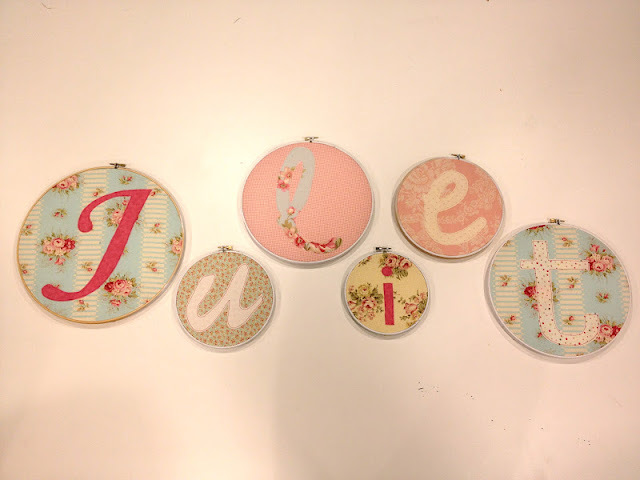 Since my new niece, Juliet was recently born we wanted to make her a set of embroidery hoops with her name on them for her nursery. Here's a step by step tutorial on how we made them. 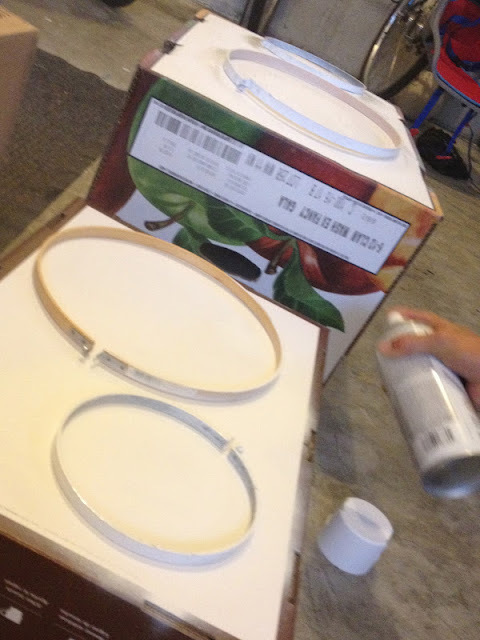 First, if you don't want the original wood color of the embroidery hoops you can paint them. We painted ours white. Before printing the letters you have to decide the layout order of the embroidery hoops because they will be different sizes. 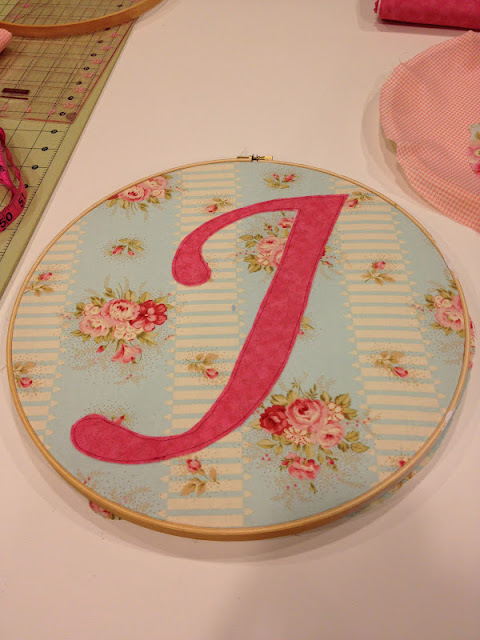 Next, print out each letter according to the size of the embroidery hoop it will be going on. 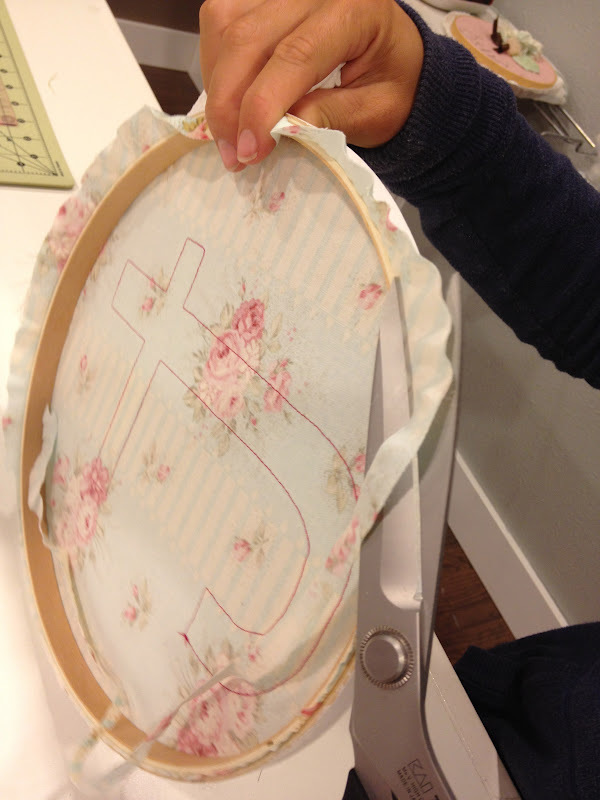 Pick your fabrics and trace with chalk on the wrong side of the fabric around the embroidery hoop. Cut 3/4" past your marking line. Here I've cut almost all the fabrics. Cut out each letter with fabric and fusible interfacing. 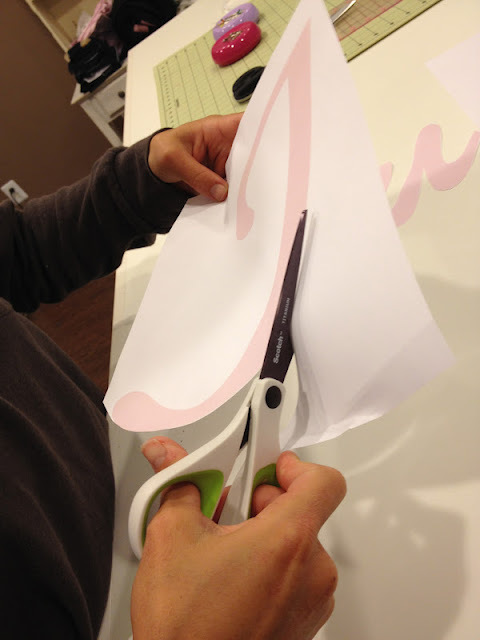 Fuse the interfacing onto the letter. Pin the letter in the center of your fabric circle and stitch an 1/8" in from the edge of the letter. We are creating a raw edge applique. Put your fabric in the embroidery hoop and trim the excess material away. You are now finished! Here's what all our letters look like in the end. That is adorable. I need to make one for both the girls' rooms.